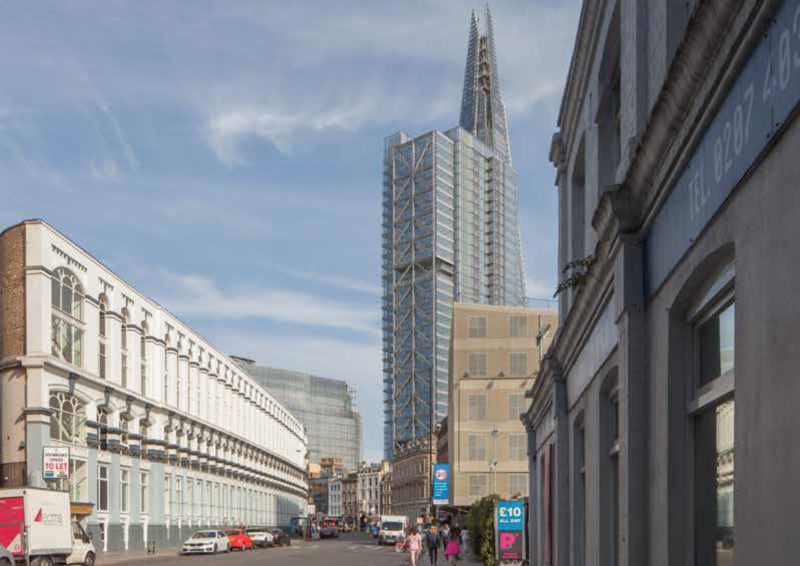 Developer Great Portland Estates has submitted plans for a new tall building in the shadow of the Shard at London Bridge. 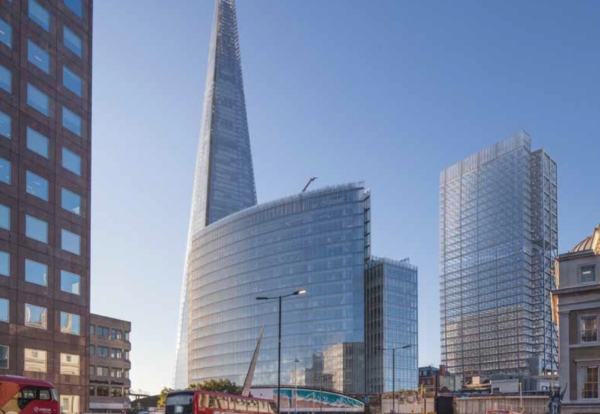 A planning application has been submitted for the 31 storey office building at New City Court in the London Bridge Area. Designed by AHMM architects, the offices will rise to 139m offering 370,000 sq ft of office and groundfloor retail space. The project would require demolition of buildings at 20 St Thomas Street and would also see the front elevation of existing Georgian buildings retained and Keat House reconstructed. The tower will boast a 250-seat auditorium and terrace on the 21st and 22nd floors and an elevated double height public garden within the building on the fifth and sixth floors. Gardiner and Theobald is on board and has drawn up the construction management plan. Toby Courtauld, chief executive, said the London Bridge project was one of its most exciting schemes in a development pipeline of 11 projects equating to 1.3m sq ft.
GPE has also committed to three projects in London. In a trading update, he said at Oxford House, 76 Oxford Street, W1, demolition of the existing building is complete and groundworks have commenced. At Hanover Square, W1, following the acquisition of the land in October 2018 that sits above the eastern entrance of the Bond Street Crossrail Station, GPE has commenced construction of the main office building at 18 Hanover Square. The scheme will deliver 221,300 sq ft in total, comprising 167,200 sq ft of offices, 41,900 sq ft of retail and restaurant space and 12,200 sq ft of residential apartments. Construction of Cityside House near Whitechapel was progressing well with the 74,700 sq ft Grade A office and retail building expected to open at the end of this year.